A TRANSATLANTIC FLIGHT has diverted to Shannon Airport after the captain became incapacitated. Norwegian Air Shuttle flight DY-7042 was travelling from Florida to Copenhagen at the time. There were 266 passengers and crew on board. The co-pilot declared a medical emergency reporting that a crew member had fallen ill. The airline has since confirmed it was the captain. It’s understood there was a third pilot on board at the time who assisted with the diversion and emergency landing. The flight was cleared to divert to Shannon where emergency medical services were standing by. The Boeing 787-800 Dreamliner jet landed safely at 9.51am and was met at the terminal by airport authorities and ambulance paramedics. The captain was removed by ambulance to University Hospital Limerick for treatment. The passengers were allowed to disembark and enter the airport transit lounge where they were provided with meal vouchers while arrangements were made to get them to their destination. 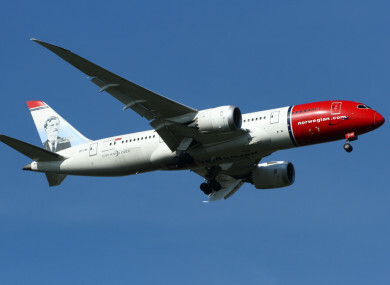 A Norwegian spokesperson said: “Flight DY7042 from Fort Lauderdale to Copenhagen was diverted to Shannon Airport where it landed safely. The airline also confirmed that the flight would resume once the captain had been replaced. The flight continued its journey at 1.30pm. Email “Transatlantic flight forced to divert to Shannon Airport after captain fell ill ”. Feedback on “Transatlantic flight forced to divert to Shannon Airport after captain fell ill ”.